1). Wash cabbage leaves and chop it to medium size pieces. Boil them in water for few minutes until they becomes tender. Switch off and let it cool. 2). Roast and grind - Heat oil in a pan, add cumin, urad dal, channa dal, coriander seeds, pepper corns and saute till fragrant. Then add onions, red chillies, curry leaves, salt and saute till they turn golden brown. Add turmeric powder, grated coconut and give a quick stir and switch off. Let it cool and then grind it to a smooth paste. 3). Heat oil in a pan, add mustard and let it splutter. Add onions, tomatoes and saute till tomatoes becomes mushy. Add grounded masala along with a cup of water. 4). Bring it to boil and check for salt and spices. 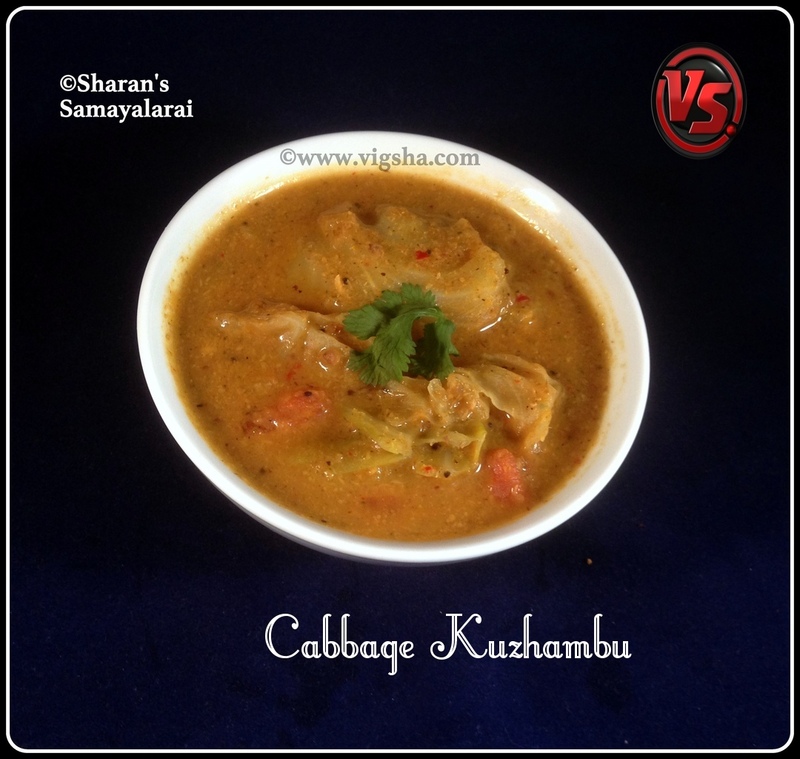 When it begins to boil, add boiled cabbage leaves and combine. When it boils briskly, switch off and garnish with coriander leaves.